Messages, publicity, social media feeds, your price lists, films and much more on TV without hassle. What can I expect from this digital signage solution? Do you have a waiting room, shop, hotel, restaurant, hospital, café? Or, to put it more simply, do you have a place where other people enter or pass through? While your customer waits, you can give him a whole bunch of information that is useful to him. You can easily make adjustments to your screen(s) from your computer or tablet. You log into your secure control panel and easily make changes or add new information by dragging and dropping. You change some colours and the visual appearance and you're done. All adjustments are automatically saved. Your changes are passed on to the TV's every (maximum) 20 seconds. So you immediately experience the result of your work. So, by the time you can add 'happy birthday' to your screen, everyone starts to congratulate the birthday girl or boy. This digital signage solution is that quick and easy. What do I need for digital signage? If you have an Android TV that can connect to the internet, you are already done. Then you only have to activate the subscription and you're good to go. 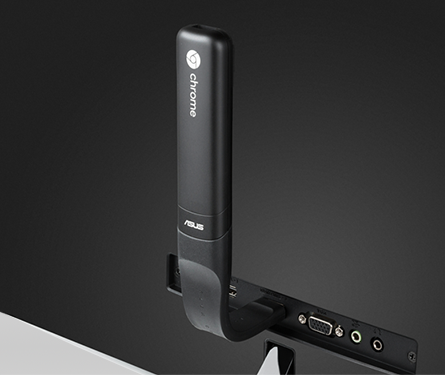 You can also connect a ChromeBit (€ 149) to any TV with an HDMI connection. This Chromebit has WiFi (dual band) on board. If you want, you can also purchase a TV screen of your choice through us. Touch screen is also possible for interactive use. What is the price for digital signage and what do I get in return? This is what I am looking for for my company.